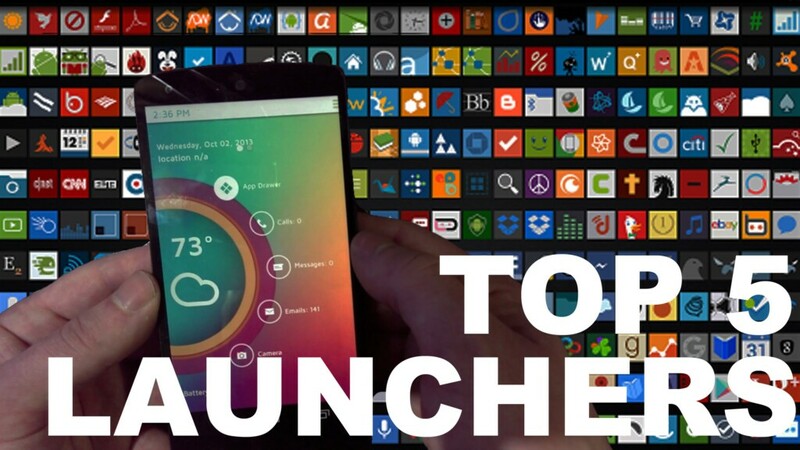 Best Android Launchers have always been a top search, we covered an article 3 years ago, which is now quite outdated. Everyone has an opinion when it comes to the battle of OSes (i.e Android VS iOS), and just like everyone else I also have an opinion which is based on reasoning and why I prefer Android over iPhone. Android gives its user to prefer the freedom and that is not possible with iOS. The only thing a user can customize on iOS is the wallpaper and that is pretty much it. I used iPhone for the sake of some experimenting, actually I was curious and wanted to see myself that what the hype is all about. All I can say is that iOS is simply not my cup of tea. There are hundred of reasons why I think Android is better than iOS and the customization that can be done with the launchers is one of those reasons. Note: These picks are based on my personal opinion and you don’t have to agree. I used all of them for days and I have the reason to prefer one over the other, basically it will be based on speed, looks and other functionality. I chose five, because a list with 10 picks doesn’t seem reasonable. However these are not the only ones I used. I tried more than 20 different launchers from playstore and then came up with this top five list. 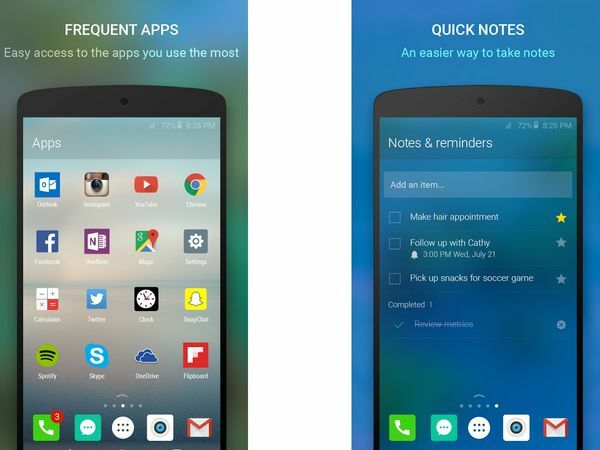 Microsoft made this launcher and the main focus of this launcher is easy access to everything, which means that all of your apps are well sorted out according to the frequency of your use. For example, if you use Facebook all the time, then by using this launcher this app will come first in the list. Which means that you don’t have to go through all the icons to get to this app. Swiping left and right also gives the access to contacts, widgets, recent app activity, as well as a handy notes and reminders page. As the name suggests, this launcher has number of themes. It gives the option of selecting a theme from wide number of themes, which means that the user don’t have to go through the fuss of trying individual customization. New style everyday like you are changing clothes. It includes widgets and new wallpapers with icons to suit your mood. You can change your smartphone at the expense of a single click. 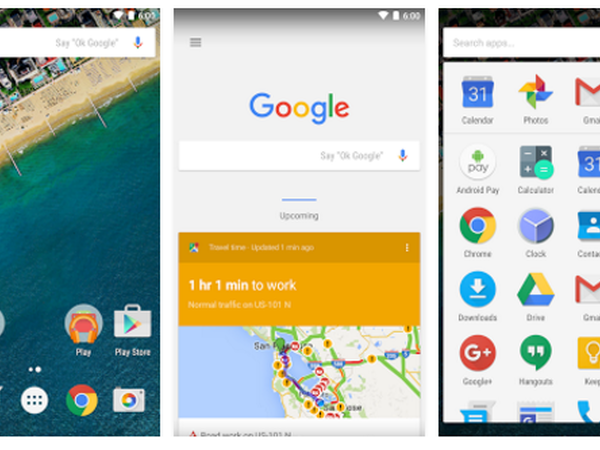 If you have an old phone that lags quite a lot, this launcher is the one for you. It is just around 3MB in size and it is quite fast. It will be like breathing life again into your phone. 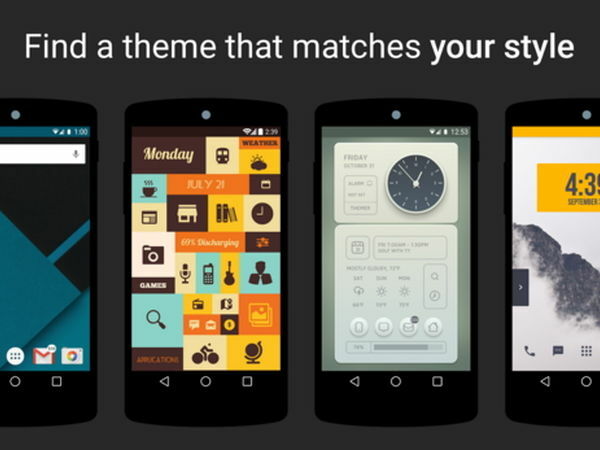 It also has themes customized by developers which can give a new look to your smartphone. 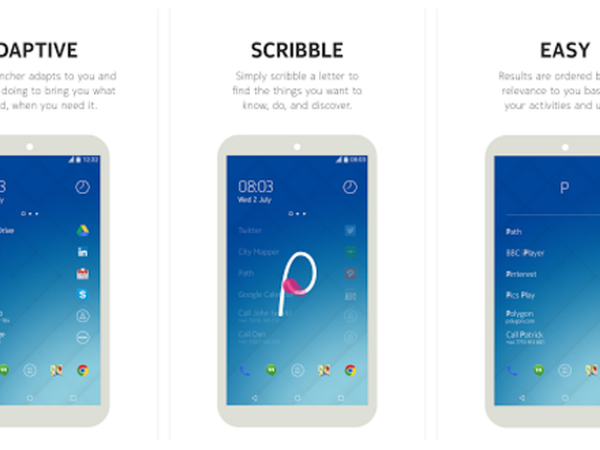 Forget finding an app and then opening it, this launcher allows its user to simply draw a letter and open the app. A really fun launcher to test. This is an opinion, I use a lot of Google services and no other launcher could give me a better satisfaction level than this launcher was able to give. This tops the list of Best Android Launchers. It’s fast and best suited for those who want the least complex looks on their smartphones. 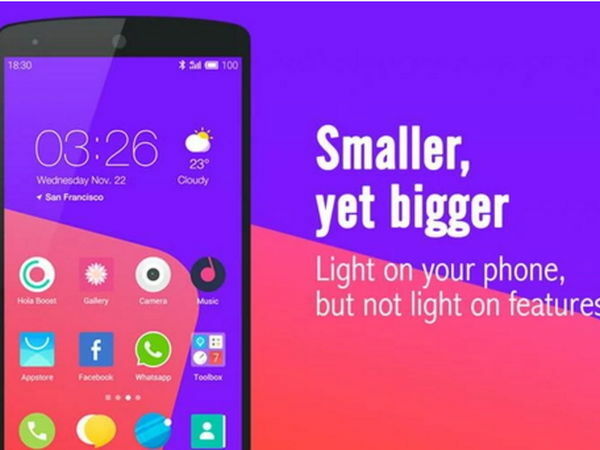 It comes official in many builds and before being customized by major companies like HTC, Samsung and Huawei this is the genuine launcher which comes packed with android.